As the 2018 Champions League final edges ever closer, we continue our fascinating chat with the media about Liverpool's hotly-anticipated meeting with Real Madrid. In a two-part special, James Pearce from the Liverpool Echo, Chris Bascombe of the Telegraph, Dominic King from the Daily Mail, Brian Reade from the Daily Mirror, Melissa Reddy from Joe.com, Rob Palmer from Sky Sports, BBC Radio 5 Live’s Ian Dennis, David Maddock from the Daily Mirror, Andy Hunter from the Guardian and Neil Jones from Goal.com all give their assessment of the Reds' chances of a possible sixth European Cup. Where will this game be won and lost in your opinion? Pearce: I think it will all come down to which defence handles the firepower of the other team better. This is not going to be one of those cagey finals where teams are scared to commit players forward. I don’t think there will be a single player in the Liverpool team who will have played in a game as big as this. For me, it will be about who can keep their opponents' front line the quieter. 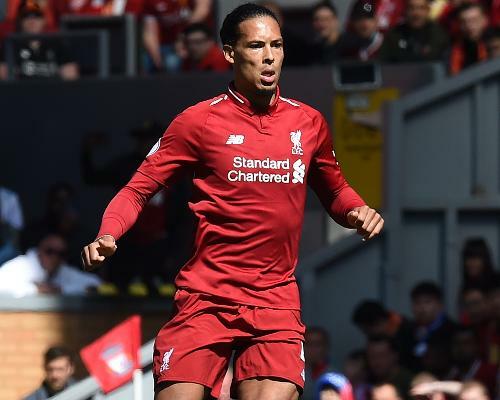 Can Virgil van Dijk deliver another commanding defensive performance like we’ve seen from him since January? Can Loris Karius continue his revival? Andy Robertson and Trent are going to be massive for this team as well, Dejan Lovren is someone who has benefited massively from the presence of Van Dijk alongside him - can he deliver once again? There’s no doubt in my mind that Liverpool’s front three will cause Real Madrid a lot of problems but it’s how the Reds deal with them at the other end. Bascombe: It will be won and lost with Liverpool’s front three against Real Madrid’s front three. It sounds very simplistic but as far as I’m concerned, it’s just about which players and which big players turn up on the day, emerge and define the final. You go through the history of the European Cup final and they are defined by players at a particular moment grasping the nettle and Liverpool will be hoping it’s their players. Ronaldo and company will also be thinking it will be them when they wake up that morning - and that is where this final will be won and lost. King: The battle for midfield is huge and I think Jordan Henderson, James Milner and Gini Wijnaldum will have a huge influence on setting the tempo. If they can stop Isco, Luka Modric and Toni Kroos settling, that is where Liverpool can profit. Also, for Liverpool to win, their defenders will need to have the game of their lives. Reade: In the mind. The team that doesn't lie down when the goals are flying in, but believes totally in itself and goes down the other end to try to score, will win it. Palmer: This game will be won and lost in the final 15 minutes. Real have a habit of starting badly so there’s a good chance of Liverpool getting an early goal. Real have a habit of finishing very strongly and I expect them to be fitter and fresher than the Reds because Liverpool had to give it absolutely everything right until the final game of the season. It will come down to that final 15 minutes no matter what the score is. Liverpool will have to maintain their momentum right up until the 90th, 94th minute - whatever it may be. Reddy: Liverpool's front three have shown the talent of overwhelming teams this season and the Reds will subscribe to their assertive approach to unsettle Real with speed and energy. Sadio Mane, Roberto Firmino and Mohamed Salah will be alert to the spaces left by the opposing full-backs, while Liverpool must ensure their own offensive moves have enough protection, providing cover for Trent Alexander-Arnold and Andy Robertson. Hunter: Salah against Marcelo. I think this is a key area. From watching quite a few Real Madrid games this season, Marcelo is an excellent player and great going forward, but his tendency to lose concentration and position as well is something Salah can exploit perfectly. 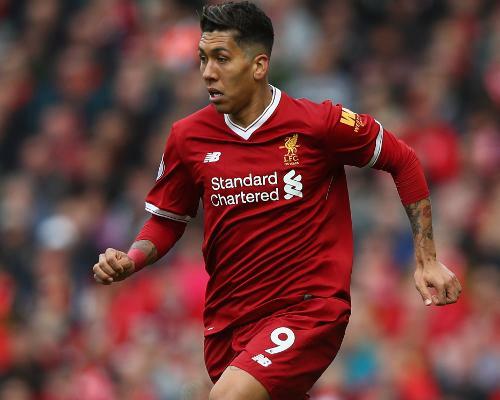 Firmino, as always, is the key to how Liverpool play and throughout this Champions League campaign Liverpool’s midfield has got to grips with their opponents' midfield, but sometimes they haven’t been able to do it or it has taken them a while to do it. At the start of the Roma game, even though Liverpool won 5-2, they struggled to get to grips with the Roma midfield. Once they got to grips with that they completely dominated the game. Modric and Kroos are excellent players who have been there before and stopping them and dictating the tempo will be key as well. Dennis: Both defences will give the opposition a chance but I think the midfield will be vital and Henderson and Milner have been terrific for Liverpool. An area Bayern Munich looked to expose in the second leg of their semi-final was down Real’s left flank because Carvajal wasn’t fit and not playing. Time and time again Bayern were getting in down that left side. Real Madrid will certainly need to tighten up there because otherwise Liverpool will be able to exploit that. Jones: I think it will be a case of who can get their attacking going the quickest. The two sides have got brilliant attacking players. It also depends who Real Madrid go with alongside Ronaldo, whether it be Benzema and Bale or someone else like Asensio and Isco. Liverpool are capable in any game against any opposition of going 3-0 up in the opening half an hour. We saw it against Manchester City and against Roma, they can get on a roll. Whoever starts this game well and gets their attacking going then they will go a long way to winning the final. The longer the game goes on tight and tense it suits Real Madrid because of their experience and their high-level players. If Liverpool can come out of the traps like they do at Anfield and treat it like an Anfield occasion that could be the biggest test. The first 20 to 25 minutes could be a huge marker for Liverpool how the game is going to go. Maddock: Whoever is more clinical wins, and perhaps the key will be how much Marcelo creates in relation to how he defends against Salah. He'll bomb forward no doubt. But remember that World Cup semi against Germany? Germany had a lot of joy down that side. How do you expect Liverpool to approach this game? Pearce: I just don’t think it’s in Klopp’s nature to change their approach. You look at the brand of football Liverpool have played en route to Kiev and it would make no sense to change it now. I think Klopp will be bold and he will know that Liverpool are capable of causing Real Madrid massive problems on the counter-attack. We’ve seen this season what that front three can do with the pace, intelligence of their movement and quality of their finishing. Bascombe: I think Klopp will be very relaxed going into this game after the win against Brighton. I wouldn’t say the pressure is off because when you go to a Champions League final there’s obviously pressure, [but] he will certainly create the impression that whatever happens from here it’s a bit of a bonus in the sense Liverpool weren’t expected to go this far but also that it's something to enjoy and not to worry about it. There’s no point worrying about losing because you can’t guarantee in getting to a final you are going to win it. The main thing is to make sure the players don’t freeze and go into the game worrying about the repercussions of not performing. Grasp it, enjoy it and perform - and to be fair Liverpool have done that really throughout the tournament apart from the first half away at Manchester City in the second leg. There were moments against AS Roma which were a little bit similar. When they had such a strong advantage - and remember they were 5-0 up at one point in that tie - it’s almost like the mentality shifted a bit and it was like they can’t possibly lose it from here. It would be a nice problem to have in the final if they got themselves 3-0 up, you would take that! King: As I said in a previous answer, they will approach it as they have approached every European game so far. There won’t be any change to routine or anything special done even if it is such a big occasion. And why would they change? The approach has worked wonderfully so far. Reade: The same as ever. Klopp has no Plan B. So it's attack, attack, attack. With the open way Real set up, plus their potentially dodgy defence, why change? Palmer: This is the Champions League final and it’s a game where you have to take yourselves to another level. Liverpool have approached it the right way by taking the players away and away from the pressures of preparing for the Champions League final. If Liverpool are to win it, then they are going to have to play at their absolute maximum. It might not be the best Real Madrid team ever but it’s not far off with Ronaldo, Bale and the other players they’ve got. It’s more than business as usual and it’s actually an upgrade on anything they have ever done before. Hunter: The same as they have played this season, there’s no other way for this team to do it. Why should they change? They have been the most formidable and entertaining team in the Champions League so far and they have no reason to change, especially in the final. Reddy: As has been their speciality: aggressively. There can sometimes be a complacency about Real Madrid and if the Reds continue their habit of quick-fire assaults as was seen against Porto, Manchester City and Roma - to mention just three - they will know it is the best chance of battering the resilience and belief of Zinedine Zidane's side. Liverpool will have seen enough from the campaign to suggest Real, while having the gift of winning games they have no business of winning, are not invincible and struggle against pace, physicality and being pressed. Dennis: Klopp will have a plan and will play the Liverpool way that has seen them score so many goals this season. If they start changing the way they play to counter Real Madrid then that wouldn’t be what you expect from Klopp. He will just let them go out and play the way that they have and take the game to Real Madrid. Jones: As they do most other games. Brighton are not Real Madrid but I look at the last game of the Premier League season when Liverpool needed a point and they went with basically four forwards in the game. They went out all guns blazing and got the job done. Liverpool don’t take backward steps in my opinion and when they do it doesn’t suit them. They will try and play with a high energy and high intensity in the midfield. They will try and get on the ball and play on the counter-attack with the likes of Salah and Mane. They will need to be defensively very strong and organised, stronger than they have been. I think we will see a very similar performance to the one we saw against Manchester City at Anfield in the first half of the game. Maddock: They'll try to play their own game, but you have to accept Real will have a lot of possession. So maybe a little like a combination of the two City games in the quarters. Try to be compact and then press hard, break swiftly and create those periods of momentum. If they can score goals in those periods, as they did against Porto, City and Roma, they'll win. 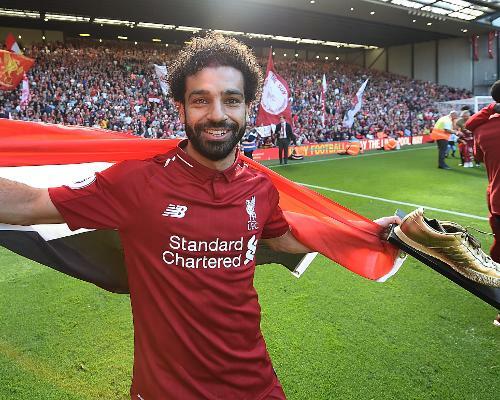 Besides the brilliance of Salah, who has surprised you most in the Liverpool team this season? Pearce: I think you can almost go through the entire team to be honest. I must admit Roberto Firmino has amazed me and he would be the main one. The brilliance of Salah has probably overshadowed just how good Firmino has been. When you think people questioned whether he could ever be a prolific goalscorer and now I think he’s the most complete centre-forward in Europe with 27 goals for the season so far. Firmino has been an absolute revelation. The leadership of Jordan Henderson has been massive. 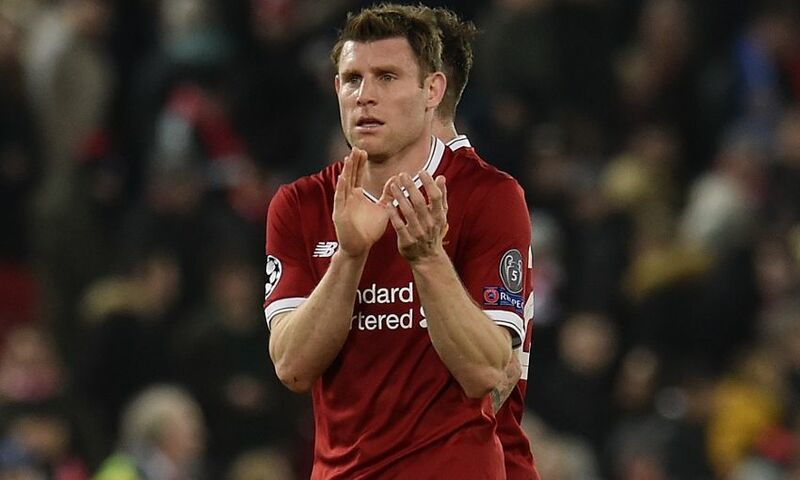 You look at James Milner who at the start of the season was viewed as a squad player and he has been an absolutely colossal presence in this Champions League run. As for Robertson you would have to put him just behind Salah in terms of value for money when it comes to recruitment. From being relegated at Hull City last year to now walking out in the biggest game in club football. And you look at Trent, who is only 19. In the space of 18 months he has gone from making his debut in a League Cup tie to proving he belongs at the very highest level of European football. Bascombe: I wouldn’t use the word 'surprised', but I think that since Philippe Coutinho left it has opened up opportunities for others to shine and Milner comes into that category. If Coutinho had not been sold it’s highly likely Milner would not have featured as much. I remember Liverpool playing away at Maribor earlier on in the season and it was one of Milner’s first starts. He just ran the game that night and you thought to yourself what a fantastic footballer this guy actually is. He has just taken it from there and there is a bit more balance to the midfield when Milner plays. You can’t say Liverpool haven’t missed Coutinho because they clearly have. I just feel since Virgil van Dijk came into the team he has made the defence stronger and the midfielders in front of them have covered yards as a group. The front three have been doing the business anyway but Milner has been very important to this team. He has got more assists than anybody in the Champions League. I get upset on his behalf when people perceive him as just a midfielder who gets up and down and puts a shift in. There is a lot more to him than that and he is technically a very good footballer. Because he is from Yorkshire people don’t think about him as one of the great Spanish or German midfielders, but I’m sure if you spoke to Klopp he will tell you he is technically good and one of the most professional footballers he has ever worked with. I wouldn’t use the word 'surprised' because I’ve always thought Milner is a great player, but the surprise would be just how much of an influence he has had on this particular run. As I said, if Coutinho hadn’t been sold or Emre Can not been injured then Milner probably would have been on the bench. King: Milner. He has always been a good player but he has elevated himself another level in the last six months. He will be one of the first names on the team sheet on Saturday and rightly so. If he doesn’t make the Champions League team of the season it will be a travesty. Reade: Many of them in many different ways. What a lovely surprise to see a teenage Scouser (Trent) show the maturity of a veteran and earn a place in the World Cup squad, or a veteran (Milner) show the energy of a teenager and provide the most assists in any Champions League campaign. But overall it has to be Andy Robertson. From his first touch and run you knew we had an old-school Liverpool player. One that came unheralded from a lower division team (Hull were relegated when they signed him, pedants) and looks like he's been coached at Melwood all his career. Skill, tenacity, pace, determination, honesty, a desire to die for the shirt and a Scottish accent. Bill Shankly would be purring. Reddy: Firmino has had an outstanding season, which is no shock, and neither is the fact that Van Dijk has been a bargain so I would plump for Robertson. He has been faultless at left-back and has been a good extension of the attack. There is Milner, too, the Champions League assist king, young Alexander-Arnold thriving, and it is an absolute shame that the injured Alex Oxlade-Chamberlain won't be involved in Kiev because he has been a line-breaking beauty to watch. Palmer: The player that catches my eye every time I see him is Milner. I think he’s instrumental and if Liverpool do pull this off then he can take his place in the Hall of Fame at Liverpool along with all the other great players that we’ve had over the years. I know he’s not the captain but he’s led the players with his experience and he is a wonderful professional. The player that has impressed me is Jordan Henderson because hand on heart, without going to as many Liverpool games as I should do and seeing what he does, I didn’t appreciate until the semi-finals just how important he is to keeping the shape and communicating and getting people into position. It’s not just his work on the ball, it’s his organisation and keeping the team together. Jordan is the one that has gone up a level and several levels in my estimation. Hunter: Firmino. I think he’s an absolutely fantastic player. I love watching him, I could watch him all day! He’s so clever, selfless, and when he drops off what Ramos and Varane do to deal with him will be crucial to the outcome of this final. There are intriguing battles all over the pitch. Dennis: Firmino has had the best scoring season of his career and Andy Robertson has done well. Robertson has become a bit of a cult-hero ever since that game against Manchester City when he was like Forrest Gump chasing the ball down! He never stopped running and it was fantastic. That moment endeared himself to so many Liverpool supporters and it’s still something now that people talk about. Trent Alexander-Arnold has been terrific and has had an outstanding season, but the one player who I’ve got so much time and respect for is Milner. I’ve watched his career blossom from when he was a young lad at Leeds United and I just think he is the type of player who should be held up as an example to everybody, how they conduct themselves off the pitch, on the pitch. I know for a fact that when he arrived at the club he was seen as one of the best signings Liverpool have made because of his presence in the dressing room. He has almost had a renaissance this year. That’s why people were saying would he come out of international retirement to represent England at the World Cup. Milner deserves as many plaudits for the job that he’s done without necessarily getting the acclaim of the likes of Firmino, Mane and Salah. Jones: Robertson. Trent’s story is fantastic and keeps going on and on. I’ve always fancied that Trent would be in the first team, maybe not as quickly as he has done. 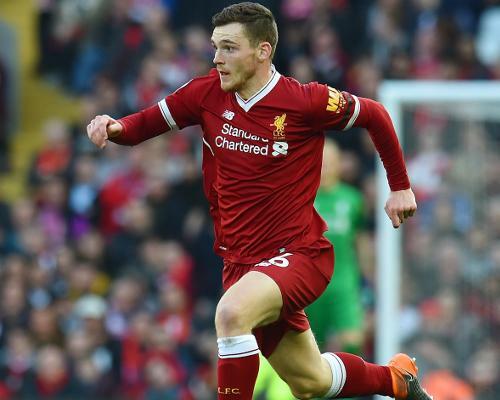 Liverpool had strived and strived over the years to get a left-back of the level required and many had not delivered, and I have to admit when Robertson signed from Hull City I thought I could well imagine his name being added to that list. But he has surprised me and a lot of people and he has been brilliant. For me, Salah, Firmino and Robertson have been Liverpool’s three star performers this season. He has been absolutely brilliant, up and down that left flank. Defensively he is very good, he brings real energy and he connects with the crowd. He has shown in the games that he knows what it takes to play for Liverpool and play in this team. What a great story and what a great lad he is. Robertson has got the humble background that you associate with this football club and he has got a big part to play in the final. I think he has been an absolute snip, I really do. Maddock: This is not actually a surprise to me, but Milner played left back all last season and seemed to be finished as a midfielder. Then he was seen as midfield back up at the start of this campaign. Now he's the machine who keeps Liverpool together, and will be vital against Real. But again, it's not really a surprise because he's a top talent who has played at the highest level, and is a real, dedicated pro. Honorable mentions too, to the brilliant Robertson and Alexander-Arnold, who have both gone far beyond what could have been expected of them this season. The fact that the Reds are seen as underdogs by many pundits in Kiev – is that a good thing in your opinion? Pearce: Yes, I think so. I think it just takes a bit of the pressure off. I think Liverpool will be regarded as the underdogs, mainly because of the fact Real Madrid have been there and done it and worn the t-shirt. If you actually examine Liverpool and Real Madrid’s performances en-route to the final, then I think it’s probably a 50-50 call. 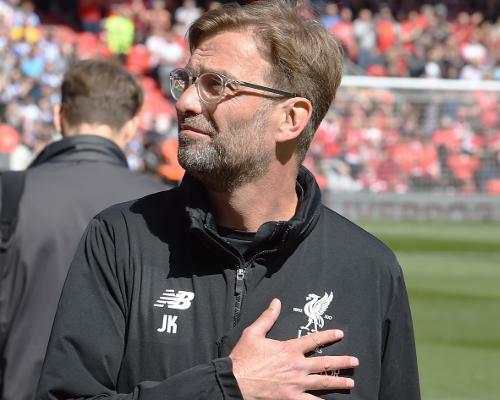 That will suit Klopp, though, the fact that Real will be viewed as the favourites but there’s absolutely no reason for Liverpool to be daunted by what’s in front of them because they were also underdogs against Manchester City. They were the big favourites to go and win the Champions League this season and that one worked out OK! Bascombe: I suppose it is but I don’t think it matters that much. I certainly don’t think Real Madrid will be thinking they are playing against a minnow. It can help you if you are the underdog and your opponents’ attitude isn’t what it should be but there’s no way anybody taking on Liverpool will take them lightly. It’s just something for the bookmakers to talk about. I don’t think any Liverpool player or fan is going to Kiev with an inferiority complex, but at the same time nobody is going there thinking this is going to be anything other than really difficult. You couldn’t have a tougher team to play against. At the moment Spanish clubs are dominating European competition and if Liverpool are to win it then they will certainly have to earn it. Real Madrid are the favourites but I also don’t think if Liverpool won it people would be saying it was the greatest shock in history. King: Yes. 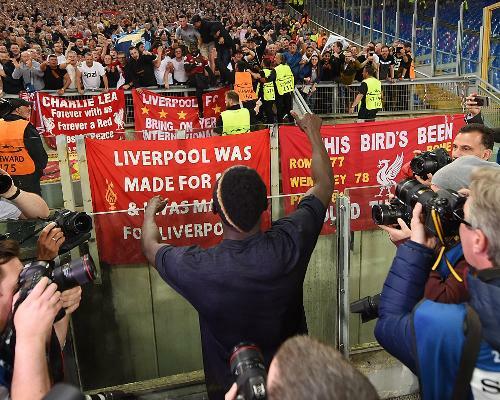 The last two European finals, against Sevilla and AC Milan, there was a feeling in some areas that all Liverpool had to do was turn up to win. Nobody can go to Kiev thinking that way. They have absolutely everything to gain. Reade: Yes. See Istanbul 2005. Reddy: Liverpool thrive in the role as does Klopp, and it may aid them in playing with greater freedom. But ultimately it will be how well and fast the Reds can implement their game plan that will prove significant. Palmer: Yes. It’s very important that the club and the manager gets it out there that they are the underdogs. Man for man, experience, caps, everything, Real Madrid are ahead of the Reds in every single department. You have got to keep reminding everybody that if Liverpool can pull it off then they would have pulled off a bit of a shock here. We’ve got to go into this game thinking it’s half-time in Istanbul. Hunter: I don’t really agree with that. It’s perfectly poised and I expect it to be a hugely entertaining - perhaps insane - final. Being the underdogs suits them and I think Liverpool have deliberately played on the underdogs tag, even when going to Manchester City in the quarter-final with a 3-0 lead. They did it against Roma with a 5-2 lead as well, but I just think it suits them. It takes the pressure off. Real Madrid will be happy to swagger into the final being seen as favourites because they are defending two-time Champions League winners going for the hat-trick. Liverpool, given that they are the emerging team, will quite happily embrace the underdog role because it takes the pressure off them. I don’t see there being a clear separation between the two teams in that sense. Dennis: I do because the Liverpool supporters will go there and be hoping that they can win. You don’t go there with the expectations and everything to gain whereas all the pressure will be on Real Madrid. Real have not been as strong as in previous tournaments. They were struggling earlier in the competition, they had a late scare against Juventus and they sneaked through their semi-final with Bayern Munich. They deserve to be respected because of who they are and what they are about and the players that they have, but I don’t think it’s a strong a Real Madrid side as it was maybe two or three years ago. Jones: Yes it is. In the past Liverpool were Kings of Europe and always dominating but in my lifetime I think Liverpool have been at their best when they have to prove something. Can they become one of the European big boys and one of the Premier League big boys? You look at Gerard Houllier’s team in 2001 when they beat AS Roma and Barcelona, the 2005 success under Rafael Benitez. During a lot of those European nights you felt 'these are better than us but we might be able to beat them' and I think Liverpool do come into their own in that type of environment. There’s no way Liverpool can go into this final as favourites because of Real Madrid’s history. I think it suits them that there’s a little bit of the pressure off. Real are going for history to try and get three in a row. It’s very difficult to win three Champions League’s in a row. It’s almost a free shot for Liverpool because nobody expected them to be there. It might just give them a bit of freedom in their play because listen if they lose it’s not the end of the world, but if they win then what a season they would have had and what an incredible achievement it would be. I do think it suits Liverpool being the underdogs. Maddock: Neither good nor bad. The fact is they will have to be at their very best to win, and being an underdog will not help or hinder in their preparation. It doesn't reduce the pressure because it's not as if Liverpool will think they are not expected to win. They will expect to win because they have been the best team in the competition. Pearce: I’m going to go for Liverpool to win 3-2. Bascombe: I’m going for Liverpool to win 3-1. King: I don’t like doing these but, at a push, I’ll say 2-1 Liverpool. I’m also going to say Roberto Firmino will have a huge bearing on the outcome. Reade: Liverpool to win 3-2. Palmer: I hope Liverpool win by a goal, because I think if Liverpool are going to win then it will only be by a single goal. Hunter: It will be 4-3 or 3-2 and I haven’t a clue who to. Dennis: It could be really tight and I think it might even go to extra-time. I can see a scenario where it might be 2-2 and then it’s the toss of a coin. I hope from an English point of view that Liverpool are crowned Kings of Europe in Kiev, that would be very nice. Jones: I think it will be 3-1 to Liverpool. If it plays out the way I want it to I think it will be done and dusted early on, going 2-0 up in the first-half and then Real Madrid coming out strong in the second. Maddock: Real Madrid 2 Liverpool 3.